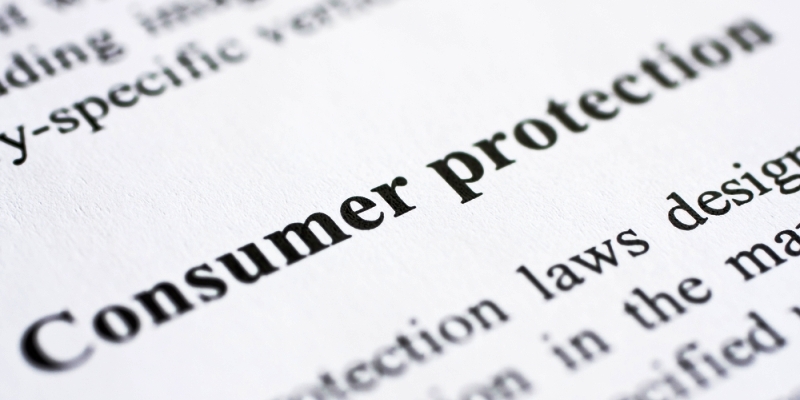 Consumer Protection Act: Is This Really Consumer Protection? The Consumer Protection (Regulation of Credit Servicing Firms) Act 2015 became law in July 2015. Separately, the Central Bank of Ireland has started casting its regulatory net to see who will become regulated under the Act, by writing to persons and businesses who have purchased loans from NAMA or others to start a dialogue that might lead to them being regulated. *A version of this article was first published in the "Irish Examiner" on 13 July 2015 just before the Act became law. The Act is, at least in part, a response to media comment on the purchase by so called 'vulture funds' of portfolios of mortgage loans from, amongst others, the Irish Bank Resolution Corporation Limited (IBRC). One of the concerns raised was that borrowers, as a result of the sale of their loans by regulated lenders to 'vulture funds', would lose the protection of the Central Bank's various codes of conduct and that those 'vulture funds' would treat mortgage holders unfairly in an attempt to squeeze extra returns from their loan portfolios. The original proposal to regulate purchasers of loans, i.e. owners of credit, has now changed focus, so that the Act will regulate the servicers of credit rather than the owners of the credit, creating a new category of regulated business in Ireland, that of “credit servicing”. Most of the purchasers of mortgage loans are unlikely to possess the administrative capability necessary to deal with portfolios of thousands of mortgage loans. In order to manage their investments they will need to either employ the bank from whom they purchased the loans or a professional mortgage loan servicer to manage the day-to-day administration of their loans. It therefore makes sense that any entity that acts as a credit servicer should be regulated by the Central Bank of Ireland. The activity of credit servicing encompasses a broad range of administrative functions such as managing or administrating repayments, issuing statements etc., but it specifically does not include: determining of the overall strategy for the management and administration of a portfolio of loans or credit agreements, making key portfolio decisions, engaging a credit servicer or enforcing a loan. The exclusion of these main discretions seems reasonable for credit servicers as they are not the core activities of credit servicing firms. However, it is surprising that the principal areas of discretion in relation to management of loans, which if abused would be prejudicial to borrowers, are excluded from regulation. There is an attempt to indirectly regulate these important activities by introducing a requirement that they are carried out in accordance with financial services legislation, including the Central Bank's statutory codes of conduct. This concept, while an attempt to give consumers some kind of recourse against the holder of a loan book, does not seem much of an improvement on the current position where purchasers of loan books are encouraged to comply with those codes. It remains unclear how the Central Bank would impose sanctions on a purchaser of a loan book that it does not regulate. However, it does mean that unregulated holders to loans will have to comply with the same codes as regulated holders of loans, if they are to be compliant. The Act shows that Ireland has not learned a key lesson from the UK. In the UK, although the activity of administering mortgage contracts has been subject to regulation since 2001, HM Treasury has recognised the regulatory gap that occurs when mortgages are sold. A statement made in a HM Treasury consultation paper noted that allowing loan holders to remain unregulated may cause "severe harm to borrowers". In its summary of responses to that paper, HM Treasury noted that it was committed to addressing the potential disadvantages for borrowers by the absence of regulation of loan holders, but did not propose amendments. Instead HM Treasury acknowledged that there is a weakness in the (UK) regulation, namely that regulation of a credit servicing firm alone may not be sufficient protection for consumers. In deciding that the Act will regulate loan servicers but not loan purchasers, it could be said that Ireland is leaving itself open to the same regulatory gap that exists in the UK. Despite any perceived shortcomings of the Act, it is a substantial regulatory development. Firms that carry out credit servicing will be required to be authorised by the Central Bank of Ireland within three months of enactment, i.e. by 8 October 2015. Those firms are also subject to a transitional period prior to authorisation where the Central Bank may impose regulatory and supervisory conditions on such firms. For more information please contact Trevor Dolan at tdolan@lkshields.ie.